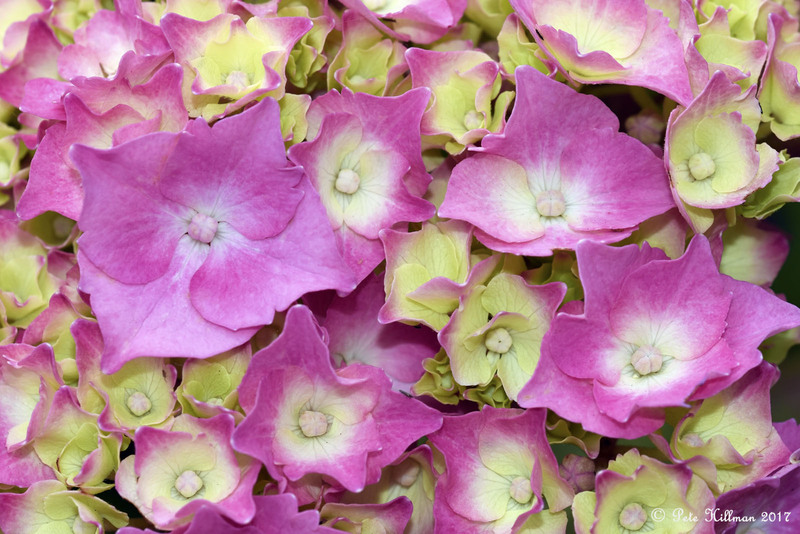 Found this hydrangea photo and good information on one of my favorite photographer’s site. I never grew pink hydrangeas like this one. It has fun little pointy petals. Pete kindly allowed me to re-blog here, so enjoy! And go see his photos… they are stunning! I have always loved Hydrangeas. My Nan and Grandad grew them at the front of their house, and so did my Mom and Dad. It’s amazing how when you see a certain flower they bring back such wonderful, precious memories. Because of my love for the abundance of showy blossoms this popular shrub produces, and because of the fond memories, I have grown Hydrangeas in my garden for some years. Although, for the first time ever, I made the most silly mistake of pruning then at the wrong time so I did not get a single blossom last year. But this year, they are back again, and in splendour. Here are a few facts about this colourful flowering shrub, some I already knew, and some I didn’t. Thanks for re-blogging this. Because of you, I’m thinking strongly of adding additional hydrangeas to my garden in strategic places. They truly are beautiful. Thank you for posting, and for such a lovely intro, Pam! Thank for letting me share your picture and useful info.